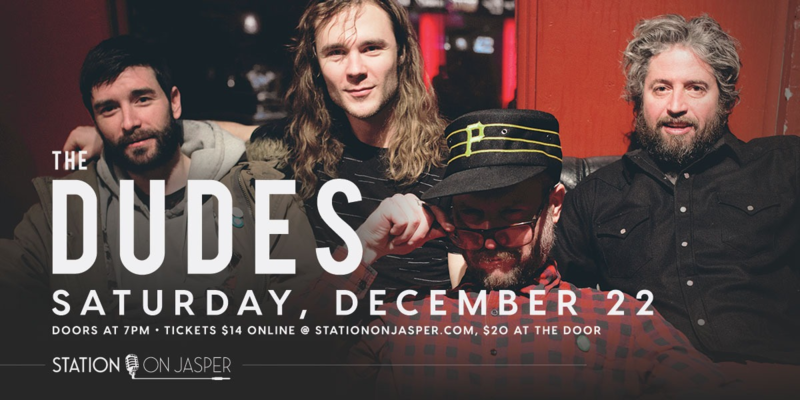 The Dudes are a Canadian indie rock band, formed in 1996 in Calgary, Alberta. Dan Vacon is The Dudes' major creative force in the band. The group also includes guitarist Bob Quaschnick, bassist Brock Geiger and newest member Matt Doherty on drums replacing Scott Ross. Station On Jasper presents another fantastic night with the Dudes. Doors for the show open at 7:00 pm, but come in early for some great food and drinks!